Shorts med lös innebyxa och pad. 3 fickor framtill varav en med dragkedja. 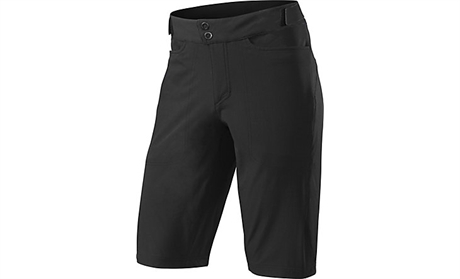 •Fixed liner shorts with Body Geometry Mountain Chamois are lightweight and breathable, while the chamois adds plenty of comfort and support. •Two hand pockets and one zippered pocket provide ample, secure room to house your trail essentials and electronics. •Side waist adjustment tabs ensure that the fit of the shorts is easily customizable and dialed-in, even when your pockets are loaded. •Deflect® UV 50+ protects your skin from harmful, ultraviolet rays. •12" inseam (size 34" waist) falls low and loose near the knee, allowing plenty of room to run pads.